I do not know Urdu but inshaallah I’ll try to find out for you. Alhamdulillah, the post is now updated with the Urdu translation as provided by @ZHasan313 who requested it and Maulana @Abu_nauman sahib who translated it. 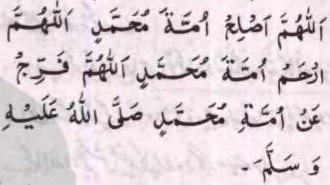 Inshaallah, I should also note that @LoveDurood provided the screenshot of the Arabic from Qoot Al Quloob. JazakAllahu khayr to all who provided assistance and to the one who asked.